Microsoft, after having invested who knows how many millions, has killed its cool new phone, the Kin. Here's the problem--no one wanted to buy it. So the Kin is kind of a modern-day Edsel. How could Microsoft, the company practically synonymous with rich guy/ educational genius Bill Gates make a mistake? It's a mystery. Why am I writing this on a Mac? Yet another mystery. Of course, Bill made a few errors himself. There was that small schools thing, which was a great idea, except that it didn't work. Oh well, you can't have everything. What's important is that Gates is still widely regarded as an expert, despite his utter lack of credentials and his repeated willingness to support ideas that are not only unproven, but which must be repeatedly propped up financially by Wal-Mart to even exist. Now, of course, we're talking about charter schools, the most recent panacea, the magic bullet that will change everything just like all the previous magic bullets failed to do. Bill's billions will see to that. With Eli Broad, the Wal-Mart family, and all the faux-Democrat hedge fund managers, they continue to push non-union charters as ways to get our children accustomed to working long hours with no play time--just as they want them to do as adults. 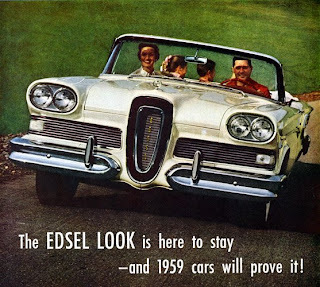 For our children, though, the ones who will be left with even fewer decent job opportunities, Bill's latest wide-eyed golly gee whiz venture may not prove to be an Edsel after all. Indeed, it could be the Titanic.